Hi, I’m Virginia Reckless Driving Speeding Lawyer Bob Battle and in my book called “The Shocking Truth About Reckless Driving Speeding in Virginia,” I give you the questions that you should ask any lawyer in making the decision of which lawyer is best for your case. Beware the Robo Firm! 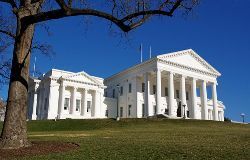 in Virginia, ANYONE who has passed the bar can represent someone on a Reckless Driving Speeding charge- this does not mean that they are experienced with Reckless Driving Speeding defense issues or know how a particular jurisdiction or judge handles these cases! That’s all well and good. What they don’t tell you is the name of any lawyer that might possibly be representing you because they don’t know or because their lawyer is so inexperienced that this person needs directions to get to court! They have just slapped up a web page or paid some lawyer directory hoping that they may get someone asking for a lawyer. So, when you are talking to a law firm, if you can’t see the name of any lawyers or any information about the lawyers on the website, why bother calling these people? Lawyer Directories, in which the only qualification to get listed on most of these websites is a credit card, are the worst offenders for listing 1 lawyer for the entire state. Any lawyer who practices regularly there knows these answers by heart. If you are talking to a Robo Lawyer, you’ll hear a long pause and you’ll realize you’re not getting an experienced lawyer.